Planning in Wandsworth: is the Council out of control? 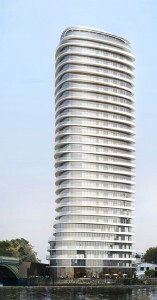 A few days ago appeared a new proposal of a 30 storey tower at 100 York road. If it looks like a “deja vu” it’s because developers have been proposing a 17 storeys for the site next door (98 York Road), and another 20 storey tower for 198 York Road. For all those sites, Wandsworth Council planning documents say that buildings of 9 storeys or more “are likely to be inappropriate“. Maybe there is a typo and the Council wanted to write 29? Or do you think that developers cannot read? Maybe it is just that they ignore the policy documents as they know that the planning officers will approve any major plan, with the same usual arguments: “on balance the positive aspects are considered to outweigh other aspects of the scheme” , and “benefits outweigh harms/detrimental impact” (choose your preferred option – all real quotes from recent officer’s reports). Therefore we can only wonder : is the Council out of control? As hundreds of local residents are complaining, they are ignored as practice continue. 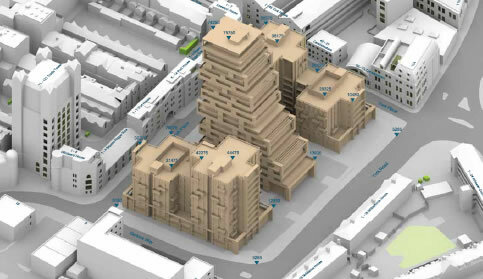 Tall buildings: The site is sensitive to tall buildings […] Para 2.8 of the S2UDS refers to both the offices in Garratt Lane and Welbeck House [5/6 storeys] as “less successful” and some reduction of existing storey heights will be sought, in part, on both sites. “26.4 Block B is fully acknowledged to be a tall addition to the Town Centre but the harm that it would cause is considered to be less than substantial in terms of the tests set by the NPPF and outweighed by public benefits. 26.6 There are a number of listed buildings located near the site; […] where harm may be caused, the benefits to the public are considered to outweigh those harms. Tall buildings: Tall buildings [9 storeys and more] in this location are likely to be inappropriate […] in accordance with DMPD Policy DMS4. No recommendation to approve yet. And this time, even the usually very cautious “design” panel set up by the Council raised several concerns: “No convincing reason was offered as to why the Council’s stated policy should be ignored“, “too ambitious“, “exuberant design“. A 14 storey tower was approved a few months ago at 56 – 66 Gwynne Road SW11 3UW, near Lombard Road, following a positive recommendation from planning officers. But 2008 was a long time ago and it looks now as there is no longer any limit to acceptable development. Also keep in mind that the Councils planning documents for the site next door (Lombard Road) specified than more than 8 storeys is inappropriate. 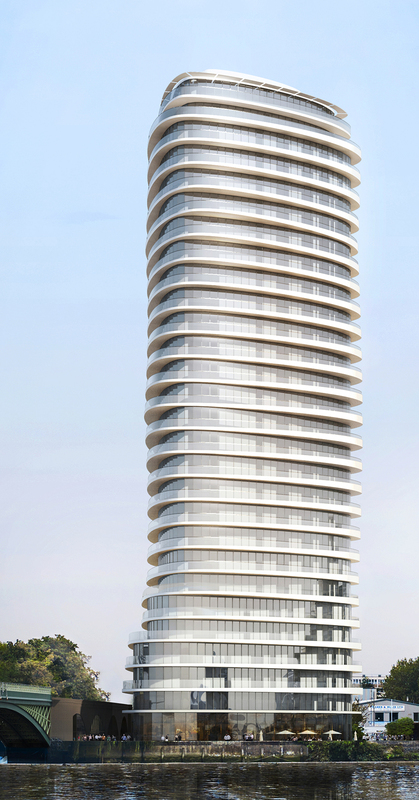 A 17 storey tower had been recommended for approval in 98 York Road (currently a car dealer). Of course, this is in contradiction with planning documents which says that buildings of more than 8 storeys are likely to be inappropriate for the site. This time however the Council’s committee decided to go against the recommendation and refused the scheme. Was it because Wandsworth Council eventually decided that they could not carry on ignoring their own planning documents (hmm the officers thought they could…)? Or was it because the developers were arrogant enough to pin-point the un-effectiveness of the current planning policies and to say that by approving so many developments in breach of their planning rules, the Council was actually changing them? 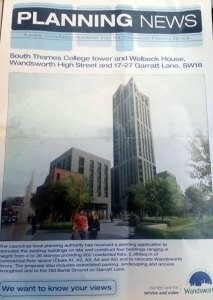 The latest example of a 30 storey tower proposed for a site stated as inappropriate for buildings more than 8 storeys confirms that developers consider Wandsworth as a free zone with rules loose enough to by ignored. And with their pre-application discussions with officers and usual Council’s catchwords “on balance…” and “where harm may be caused, the benefits to the public are considered to outweigh those harms” everything is now acceptable in Wandsworth hand-in-glove with developers!